Lovely, stylish, Acrylic Decorations that can not only be used to adorn the Christmas tree but also a nice idea as gift tags and wedding favours! 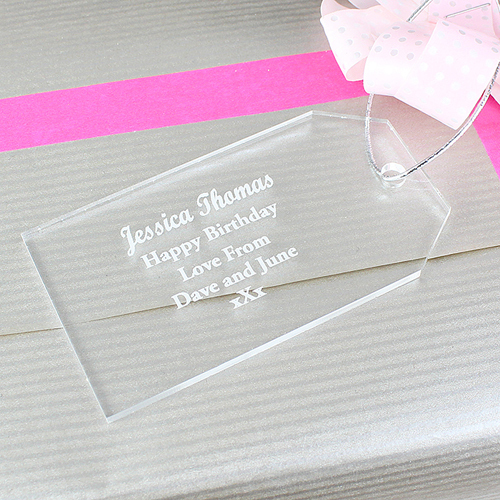 You can personalise this Acrylic Decoration with 5 lines of text up to 18 characters per line. The first line will appear in bold. All personalisation is case sensitive and will appear as entered. Decoration comes supplied with metallic cord ready to hang/attach straight onto the tree/gift. Ideal for Christmas, Wedding Favours, Gift Tags.